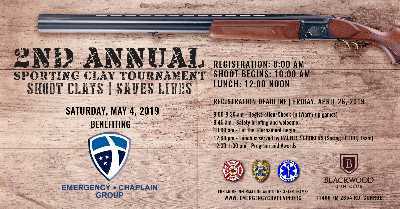 Come join us for an incredible day of shooting sporting clays for a worthy cause with friends and First Responders. This will be fun and relaxing day, enjoyable for all skill levels. Your participation directly benefits Emergency Chaplain Group and our First Responders!